Explore the many free things to do in New York after browsing through our helpful tourism guide. Spend a stress-free and expense-free day in NYC or other parts of the state by taking advantage of any of these free things to do in NY. Free Brewery Tours on Saturdays and Sundays! From 1-5 P.M. on Saturdays and 1-4 P.M. on Sundays, you can take a trip down to the Brooklyn Brewery to check out one of the free brewery tours. The tours require no reservations and run hourly. Children are welcome, as long as they're accompanied by a parent or adult guardian. 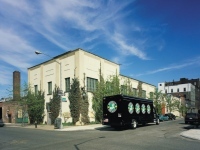 Founded in 1988, the Brooklyn Brewery has been producing flavorful beers that have satisfied beer lovers from all over. You will love the brewery's award-winning roster of year-round, seasonal, and specialty beers. The Brooklyn Brewery is also avaiable for private events--whether you're planning a birthday, corporate mixer, holiday office party, or another fun event. A Free Ride Of The Staten Island Ferry! Operated since 1905, the Staten Island Ferry runs 24 hours a day on a 5.2 mile run from St. George terminal to Staten Island and the Whitehall terminal in Lower Manhattan. It is the most reliable and always on time transportation system in New York. 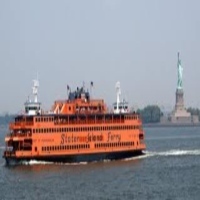 A free New York attraction, The Staten Island Ferry offers a great spectacular view of the city and a fun way of going to different locations in the city. So whenever you're in New York, don't forget that there is a free ride at The Staten Island Ferry where you will get to see New York and its wonders. Appreciate Art At The Museum of Modern Art! Come to The Museum of Modern Art, one of New York's attractions, where you get to see wonderful art collections all of which are unique and one of a kind. It is a place where you get to appreciate the modern art's of the 21st century. Every turn and every gallery offers new and unique views that spark imagination and appreciation of modern master pieces. The Museum offers a free tour every Friday from 4-8 Pm, admission is also free for people 16 and under. 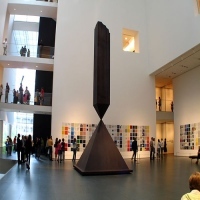 So make your visit to The Museum of Modern Art all inspiring and interesting, visit the Museum Today. South Street Seaport, A 19th Century Beauty! Here at South Street Seaport you will see many restored 19th century structures, which includes renovated mercantile buildings and renovated sailing ships. The place has a wonderful ambiance, perfect for any occasion, a good place to dine and go shopping. Adjacent to the Financial district in the Lower Manhattan area, it is a very accessible and convenient location. There are a lot of things to do in this local attraction in New York. You could see the wonderful 19th century sailing boat, go shopping, dine in the finest restaurants in the city and sometimes there are free live concerts that go around in the port. Fashion Museum Of New York! Fashion Institute of Technology Museum offers a wide array of collections relevant to fashion and design. It has a permanent collection that encompasses 50,000 garments and accessories some dating way back to the 18th century. An award winning and prestigious museum that offers free admission to the public. 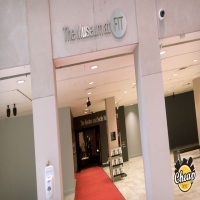 The museum is a great local attraction here in New York City, with its interactive galleries, workshops and seminars, people simply come to learn and enjoy what the museum has to offer. The museum offers tours and symposiums, which offer interesting and new innovative designs. Also it is a great place for fashionistas and fashion savvy people to come and be inspired to be creative. A Tour Inside The Forbes Galleries! 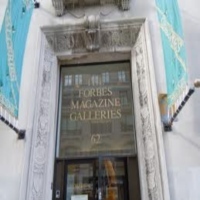 Located in Greenwich Village, The Forbes Galleries inside the headquarters of Forbes magazine is a museum of collections of writing, jewelries, and many prized exhibits of Malcolm Forbes. Open from Tuesday to Saturday, the museum is open to the public for purposes of learning and Knowing the Man who made Forbes what it is today. It is a free local attraction, which many visitors come every day to see the valuable archives and appreciate the life and works of Malcolm Forbes. So whenever in New York, you can always visit the Forbes Galleries and see many priced collections and antiques. National Museum of the American Indian Of New York City! The museum has vast collections of historical treasures and artifacts, that represent 12,000 years of history from different tribes of indigenous native Indians in the Americas. 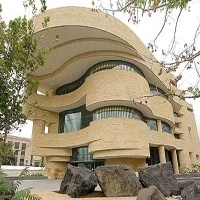 The National Museum of the American Indian was established in 1916 and is a part of the Smithsonian Institution. The museum is a New York attraction and offers free admission to visitors and guests. It opens 8 Am to 5 Pm daily and on Thursday from 8 Am to 8 Pm. So come and see the vast collections and know the history of the Native American Indians only at the National Museum of the American Indian in New York. Green Sceneries Of New York! The High Line is a 1 mile linear park located at 529 West 20th Street of New York City. 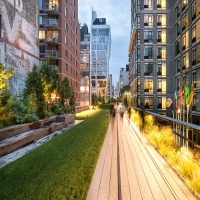 Once an elevated rail road called the West side line, which runs on the lower west side of Manhattan; it has been redesigned and planted as an aerial green way. The park operates on its spring schedule, with the park open daily from 7 Am to 10 pm. It is absolutely a beautiful and a wonderful attraction in New York where visitors can come for free and appreciate the art and natural ambiance of the park. Best Way To Enjoy The Day In New York! Here, at Brooklyn Bridge Park, you will get to see some of the spectacular sceneries and a wonderfully designed ecological landscape. 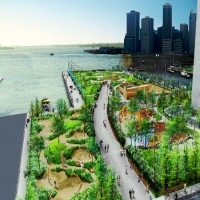 The park is an 85-acre sustainable water front park, stretching 1.3 miles along Brooklyn East River. The park offers some recreational facilities fit for biking, dog walking, volleyball, hiking, picnics and many more. The park is a free attraction open to the public and is one of most visited parks of New York. Park hours are at 6 Am to 1 Am daily. 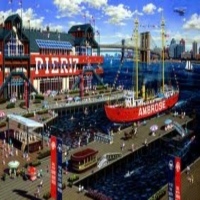 So come to Brooklyn Bridge Park today and have a fun and wonderful experience. Graffiti Art In New York! A mecca of graffiti and a place where graffiti enthusiasts come and visit the park. 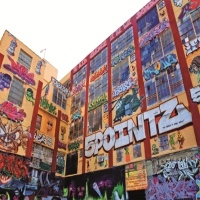 5 Pointz Aerosol Art Center is a local attraction in New York where everyone can come and enjoy the great works of art from many great graffiti artists all over the world. It is a place of expression and open mindedness where you get you learn and appreciate creativity. Everyone can come and see the beauty of art and expression. The park is free for everyone who wishes to visit and appreciate the art of graffiti. The Governors Island, A Place With An Inviting Scenery! 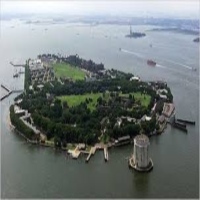 The Governors Island was a former military base and then was sold to New York State for the purpose of making it into a recreational tourist attraction. A 172 acre island intended for the public where they can enjoy the beautiful views and a place for fun and recreation. This ambitious project of Governors Island with its massive project and rehabilitation, the park has become one of New York's outstanding tourist attractions with thousands of people coming in every year. The park is free to everyone who wants to visit and enjoy the great sceneries and the beauty of nature.